It was a dream of company owner, Roslyn Weal, to establish a company that allowed her to provide our local First Nations community members an opportunity to enter the insulation trade and build a solid career. The same opportunity that was afforded to her, and the start of her 25 year career in the industry. In 1980, Roslyn enrolled and completed the insulation trade training program offered by Cold Lake First Nations (CLFN). 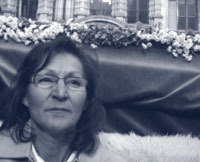 Following her successful completion of the training program, Roslyn was employed by Tall Birch, a CLFN owned company and gained her first work experiences in the trade. Wishing to continue apprenticeship in the trade, but without a Journeyman mentor, her relatives established a company called Arrowhead and employed a journeyman to mentor Roslyn. 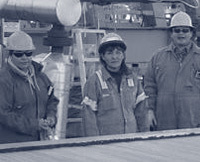 Arrowhead was able to gain contracts in the industry and employed Roslyn which eventually led to achieving her Red Seal Journeyman ticket and many successful years in the trade throughout Alberta. In recognition of the efforts made for her, Roslyn established Arrowhead Industrial Insulators Ltd. in 2004 with the goal to provide the same opportunity for individuals to excel in the trade as she was afforded with a company that cares about their employees and their success, while promoting and maintaining her high standards and reputation for excellence and quality workmanship. Our company strives to provide the highest level of quality service and customer satisfaction through our experienced workmanship and commitment to safety and innovation. Arrowhead Industrial Insulators Ltd. provides local employment with a focus on indentured apprenticeship training to members of Cold Lake First Nations. Arrowhead Industrial Insulators Ltd. provides pipeline and industrial insulating services in the local and regional oil and gas industry. The company office is located on the Cold Lake First Nations reserve, land location: NE ¼ 8-62-2W4 Cold Lake IR-149. All content ©2004 - 2019 Arrowhead Industrial Insulators Ltd., all rights reserved.